21 oz. 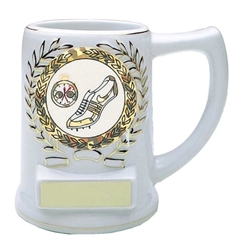 size Ceramic Track Mug Trophy. Available in white or black color. Great as a coach gift.